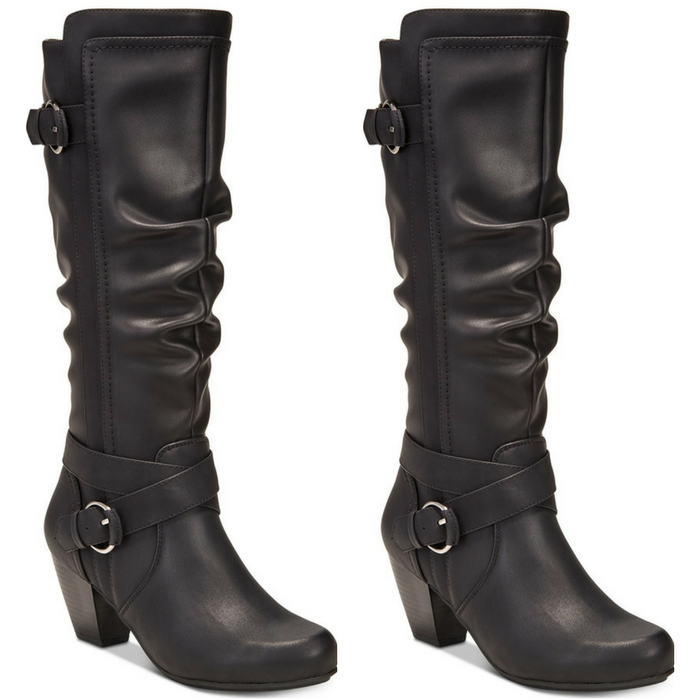 Block-Heel Dress Boots Just $27.63! Down From $79! You are here: Home / Instagram / Block-Heel Dress Boots Just $27.63! Down From $79! Casual slouching meets crisscross buckled straps and a stylish block heel that adds boho-chic appeal to any look in Rialto’s Crystal wide-calf dress boots. Shaft: 14″ height, 16-1/2″ circumference. Shaft height & circumference will vary by size.